Planning for 2019 event is about to start! The event will take place in October-November 2019. Stay tuned! If you would like contribute as an organizer please send an email to organizers@tamperegoesagile.fi. 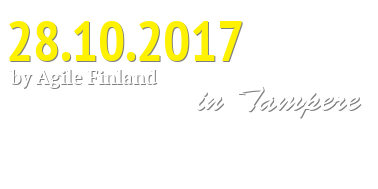 Tampere Goes Agile is a free, fun and friendly agile conference in Tampere, organized by Agile Finland ry. Follow us on twitter (@tmpgoesagile) or on Facebook. But I want the team to be X times faster! Mika Turunen: But I want the team to be X times faster! When you work with a team, at some point, you will face someone that will throw the “But I want the team to be X times faster!” at you. This is the point when you need to get into discussions of what it actually means to be fast and that there are no magic bullets for this. It’s a lot of hard work and dedications. This is a story of a team that managed to increase their speed and how we did it. Case Example: an on-going multivendor cross-functional agile team. Established at customer premises, sitting next to PO and other business stakeholders. Adopted and tailored agile process, based on Scrum, Kanban and Futurice's Lean Service Creation. Great team spirit and cooperation with the customer has resulted into continuous delivery of successful results despite demanding, complex integrations. Artur Margonari: SpotiSAFeLeSS? Is it even a model? Have you ever thought about mixing them all, picking up the best of each? I'll share my experience in participating in the Agile transformation, together with other 65 Agile coaches, of one of the biggest bank in Europe and its success and failures. Technology is awesome! We can interact even we are separated by thousands of miles. Computers make us free from routines and do complicated calculations on behalf of us. But technology has also a dark side. It may become an impediment, make our work worse. Sometimes old trick is better than bag full of new apps. Agile is built around collaboration, responsiveness and creating superb outcomes. Tools and practises are "on the right side of the Agile Manifesto", they are necessary but not sufficient. Still many organisations try to improve by using new tools, new gadgets - new anything. And sometimes this prevents teams doing a good job. We often solve problems by introducing a tool or process. This talk shows an alternative: what if we can become Agile by having *less* tools and processes? This talk takes us back to the roots. It shows why low-tech is sometimes better and helps to understand when tools & technology only hide problems rather than solving them. It also explores lo-fi alternatives that have helped individuals interact and explains how hi-tech can support teams when hi-tech is required." While developing complex system for area where daily work of end user is difficult to understand and capture we found out that common agile and waterfall methods failed to produce good results. This is our story of problem domain, alternatives we tried and finding of solution. 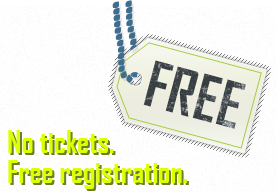 Register to the workshops separately. Follow the link above. E3 (Enabling, Empowering, Emotional) is Ericsson internal 48 hour intensive coaching session to create the cultural movement through the individual growth and learning. Challenging ourselves in order to unleash our full potential is beneficial both for the company as well as for the individual. In E3 topics vary from challenging our limiting beliefs and thoughts to embracing the change and learning non-violent communication and empathy. Aim of the E3 session is to enable people to stop and reflect their behavior and actions, to empower them to take the full responsibility of their own life and to connect emotionally to themselves and others. Cultural movement is created inside out and every individual has crucial role in order to create winning culture and to challenge and support each other to reach their full potential. This experimental session is a short sampler of the actual E3 session. The plan is first to introduce E3 concept and then have a discussion around some of the E3 themes: for example collaboration, empathy, safety and trust. What these are and why they are important for everyone. Then we will interactively work with chosen topics in smaller groups. What is each topic influence to the culture, atmosphere, trust level and results in the organization? How to empathetically challenge your peers, how to create an environment where everyone can grow and flourish? For Ericsson R&D in Finland E3 intensive coaching session has been an alternative to established agile approaches, tool to create curious mindset and unleash the potential of individuals and teams in the organization. This method has been utilized also outside Finland R&D organization and has been taken in use in several other locations within global Ericsson to create companywide movement. Growth relies on change and the primary driver for change is dissatisfaction with the status quo. What actually motivates you? Do we care enough? These questions are the bases for the train of thought when it comes to developing teams and yourself. There are impediments on this route, of course, and these impediments must be taken care of if we want to go forward. The Coaching Card is both a thinking model and a template. It gives some backbone to the coaching work, helps people choose the right interventions and gives a degree of measurability to the work. It also lets several people collaborate around one team and helps junior coaches get mentoring and advice from more experienced coaches. It's one of those simple things that people don't know they are missing, but look so obvious in hindsight. Coaching Cards are based on the OODA loop (inspect and adapt) and on Karl Tomm's coaching model. It very specifically uses observations, hypotheses, goals, metrics and interventions. The Coaching Card concept has been developed over the last 5-6 years by agile42, by doing it and helping others do it. It's our own solution to a common practical problem, and it is unique because there are literally no other solutions to this problem out there. The de facto contract model for Agile is time & materials. Fixed price projects come with a lot of package and most people have a gut reaction of "that's not Agile" when someone mentions fixed price models. This presentation challenges the myth and offers a practical approach for fixed prices that is arguably better than time & material in many situations. The key building blocks are alternative ways for providing psychological security, managing risk and understanding the intangible aspects of customer value. Continuous delivery, welcoming changing requirements, face-to-face conversation, sustainable pace etc. are all well covered topics in Agile Manifesto. They are quite clear and easy to understand, too. But there one line that is not that obvious and also less discussed: "Simplicity--the art of maximizing the amount of work not done--is essential." By looking at the industry as a whole, it seems that this advice has not been understood or followed widely. Problems are often solved by adding more code and features. Decorating ways of working are called improvements. Big and "complete" agile frameworks seem to have endless demand. But world being complex is not a good excuse anymore. Doing more, adding more and making things more complex is easy. Anyone can do it. It takes much more to move into opposite direction. Simplicity, minimalism and elegance have always been valued in science and arts. Some aims towards the same ideal are seen time to time in SW development, but too rarely. It's time to experiment more with less. We need to understand the art of maximizing the work not done but also know what is the concrete practice. But not just for fun. It offers great potential for freedom, speed, reliability, predictability and focus. The very same things we have been trying to achieve but often without much success. This workshop requires your own laptop and preparation before the event. It's a fairly good assumption to say that all technically inclined people more or less love new technology. That's what got them into it in the first place. So here we are, looking at AWS serverless capabilities when it comes to Lambdas. It's not super bleeding edge, but it doest have some funky features and behaviours that makes it more than interesting to look at and use in real life. In this workshop we'll quickly round up few AWS Lambdas, see how they work and what they do and once we're done with the workshop, you should have a fairly good idea of how they work, what they can do, what they are good in and what they are not so good at. You'll get to deploy your very own AWS baby step lambdas and see what they do, play with the and most importantly, break them. Learn the DevSec dance, build security in! What could go wrong? I’m going to talk about the case(s) from my previous job(s). What are the common problems in deploying agile and lean practices to the multi-site and multi-culture programs, how to get visibility to the problems and what to with those problems? Examples from culture conflicts, organization silos, bad architecture, etc. And how we started to tackle these problems. Agile needs to improve and evolve. However, instead of waiting for the next "Silver Bullet" framework or software tool to solve our development problems, we should first take a good look at ourselves. How do we cooperate, communicate, lead, envision, empathize, and lift each other? While process innovation is great, the Agile mousetrap is usually good enough. Our people practices need to evolve, too. Antti Virtanen: Learn the DevSec dance, build security in! Agile process models do not target software security issues specifically, which has led to various complementary approaches such as Microsoft SDL for Agile. We believe that this is a bit misguided and the ideal way is to treat security as we treat other non-functional requirements like performance or usability. We build it in during the normal development work. We'll present issues and our solutions and some roadmap for the future on this talk. What sort of new tools and skills are required? What can you automate and how? How to discuss security issues with the customer to integrate them to the workflow? How to teach the DevSec dance to your developers? Who else should take the dance lessons? Ruby and Fellas Irish Bar: Afterparty! Mika is a generalist, techonologist and an architect. Has been around the tubes since the early days of modems, BBSes, flashing backgrounds and midi music. Early adopter of new technology and ways of working in attempt to learn something new every day. Works around open source and actively takes part in breaking things, sometimes for the good and sometimes for the bad. Loves good coffee. He can be found from twitter as @mikaturunen. Eetu is a technology driven Scrum Master with good people skills and an eye for detail. New technologies and agile software development are in his interests. 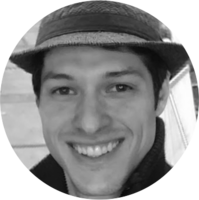 He’s an experienced in Scrum Mastering, Team Lead and Coaching. Eetu is quick-witted and eager to contribute for the project at hand. He’s technology passion resonates with cloud based services and IoT-based systems, but after all he’s all into developing and learning of agile methodologies. 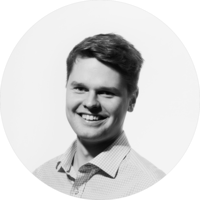 Crafter of digital services at Futurice, currently with the title of Software Architect. Tech and coding are his main expertises, but he also makes impact in design and business-side of services. 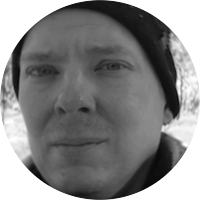 Kimmo is an active open source contributor and have coded quite a few tools for the web community. By implementing tools for his own needs and systematically announcing them, he uncovered niches in the npm ecosystem with modules that peak over half a million downloads per month. According to Kimmo, agile projects has been bread and butter since he joined the industry five years ago so he hasn't experienced any legendary waterfall projects. However he has seen many different, good and bad, agile setups in his consultancy life. Entrepreneurship, and the ability to create products which can have a worldwide impact has always fascinated him. This led to a company named Alvar Carto which he co-founded with his two friends this year. Artur Margonari is passionate about Agile. 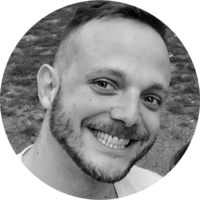 He currently works as Agile Coach consultant at Wemanity Belgium, currently in a mission at BNP Paribas Fortis, from the beginning of its global Agile transformation. He has more than 4 years experience in practicing and helping companies to be more Agile, to form amazing teams and to deliver great products. Some of the certifications he holds: CSM, CSPO, CSP, LeSS Practitioner, SAFe Agilist, Lean-Kanban Practitioner, SMC, Management3.0, Agile Facilitator and Coaching Agile Teams 3.0. Hobbies & passions: guitar, ukulele & harmonica, archery, beer tasting, martial arts and traveling. Kati Ilvonen is change driver and head coach at Ericsson R&D. During recent years she has been working in Ericsson R&D product development in different line management roles and has been driving agile and lean change within organization. She has also worked as entrepreneur in holistic wellbeing company for couple of years. She is actively coaching people to grow as individuals and supporting them to adhere a learning lifestyle. She is also regularly driving 48 hour long E3 intensive coaching sessions within the organization. Hanna-Mari Loisa is an experienced Agile Coach working in Ericsson R&D. During recent years she has been working mainly in product development and maintenance in supporting the teams and the organizations in a journey towards lean and agile, in personal growth and wellbeing. She was one of the organizers of the first ever Ericsson wide Lean and Agile conference and has been organizing also other big and small events. She is also actively supporting people to adhere a learning lifestyle. Hanna-Mari is one of the authors of a case study of Kanban Implementation in Telecom Product Maintenance. The paper was published and presented in SEAA2011 Conference. 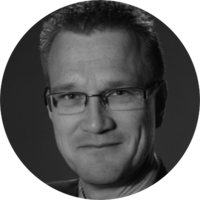 Sami Lilja has over 20 years of experience in software development and people & team leadership. 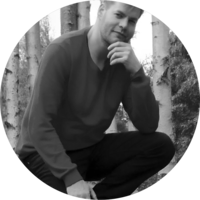 At Reaktor Sami works as Agile coach and he participates in Agile transformations on a practical level. Besides coaching work Sami also delivers Scrum and Kanban trainings for software and non-software people. Sami has deep experience in complex Agile transformations involving various locations and simultaneous projects. More recently Sami has been studying Systems Thinking and applied it when mentoring leaders and senior executives. Outside work Sami applies "fail fast" ideology on golf courses and often finds himself in challenging coaching situations with his kids aged 5 and 8. Miia is a software development professional having almost 20 years of experience from large software projects and complex work environments. She has been working with Agile methods since 2007, and is always looking for ways to develop ways of working, herself and her team. 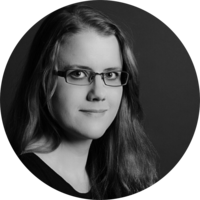 She has passion for software quality and leadership and loves to solve fuzzy problems. 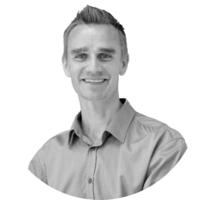 Martin has worked across the software industry for over 20 years, in startups as well as multinationals, as a senior developer, sysadmin, sales engineer, project manager, process developer and partner. Since 2006 he's worked exclusively with agile and lean methods. Since 2012 Martin works at agile42, helping companies organize themselves for improved collaboration and communication so that they can develop better software faster. This includes coaching internal coaches and training internal trainers. 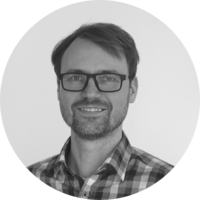 Over the last few years, he has performed substantial work with ABB Drives, Swedbank, Helsinki University IT center and Siemens MC, plus countless shorter training and coaching engagements with companies in the banking, media, educational and telecom sectors. Martin has a M.Sc. (Tech) in Software Engineering. 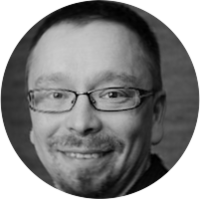 He is one of the few Scrum Alliance Certified Enterprise Coaches (CEC) and the only Certified Agile Leadership Educator in Finland. He's is working on a PhD on how to organize and lead for agility. He's also one of the authors behind the book The Hitchhiker's Guide to Agile Coaching (agile42, 2017). Teemu is one of the leading specialists in Finland when it comes to Lean and Agile methologies. He has more than 15 years of IT-industry experience. He is founder of company called Leanex, which supports its customers in digitalization, Lean and Agile related matters. Passion, practicality and comprehensive know-how are his strengths. He also shares his experiences through presentations, articles and societies. Ville is an author and agile coach. Ville has been involved hands-on in many organizational agile initiatives and transformation efforts. Through this practical grass-root level experience he has witnessed successes, failures and learned the hard way what works and what doesn't. Ville is one of the authors of a book New thinking, new leadership (Suomen liikekirjat, 2015, in Finnish) that covers topics like new paradigms of knowledge work and organizational change. In addition to Agile SW development, Ville's topics of interest include Lean, Systems Thinking, Complexity Theory and teamwork. Rauno is a hands-on Agile and Lean professional with a long successful experience in coaching and leading software teams and end-2-end software projects in international multi-culture environment. 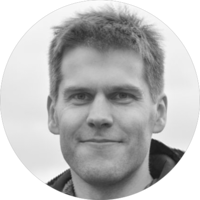 As an example, in early days, Rauno was a team member developing the first version of SAFe model, then he led the release trains in Nokia Meego having close to one hundred scrum teams in a train. After Meego time he helped the SW Platform Program and the SW development teams in Nokia Mobile Phones in Ulm, Germany to utilize the state of the art agile and lean practices and before joining Nitor he led the SON R&D Espoo teams coaching them to be more agile & lean. Lare has presented in various IT/Agile seminars over the years, but not very recently. Perhaps he is best known as one of the oldest Finnish Scrum Trainers, and as the translator of the Finnish Scrum Guide and Finnish Agile vocabulary. He can be found from his company's website and linkedin. Antti has worked on various IT roles for about 20 years. 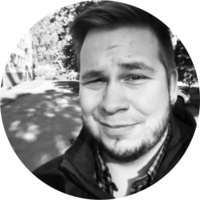 Antti currently works as a software architect which means he weekly tinkers with Clojure, project management, security, Python, AWS and many other wonderful things. 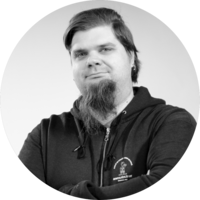 During the years he has given some talks about agile development and software security in events like Tampere Goes Agile, ClojuTre and Scan Agile among others. He can be found from twitter as @serialseb and blog. We make people happy - one Smiley at a time! We keep the digital society running. 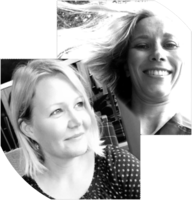 Contact organizers@tamperegoesagile.fi if you have questions.